Hollowed out body makes it light weight. 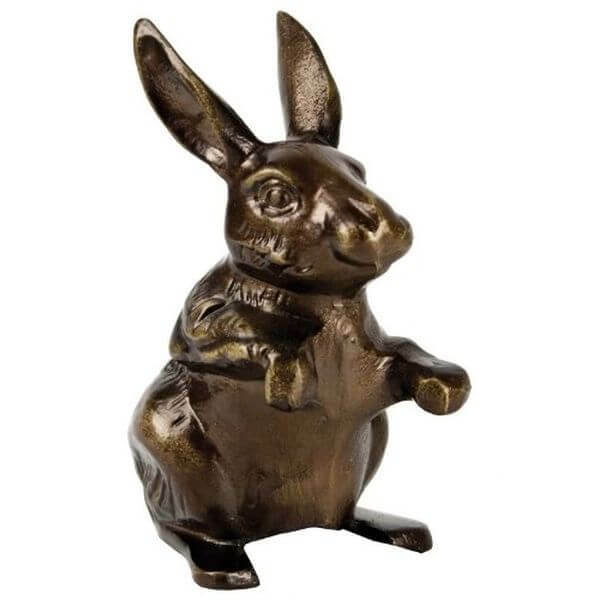 Add the joy of woodland creatures to your garden with the Cast Iron Bunny Rabbit Bronze Garden Statue. This statue is made out of beautiful and durable cast iron that has been given a shining brass finish. It is lightweight and easy to position thanks to its hollowed out body. Measures 11.25″ x 6″ x 4.25″. 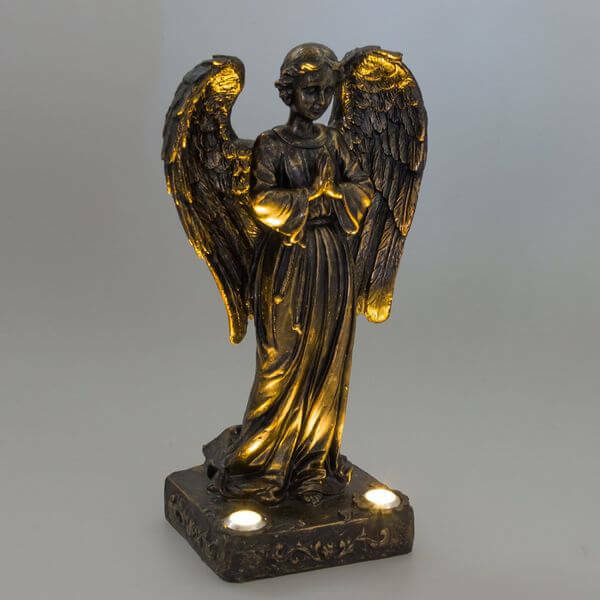 Let an angel keep watch over your garden both day and night with the Solar Powered Praying Angel Bronze Garden Statue. This statue features the image of an angel standing with hands pressed together in prayer. She has been given a bronze finish. LED lights shine upon her from below. 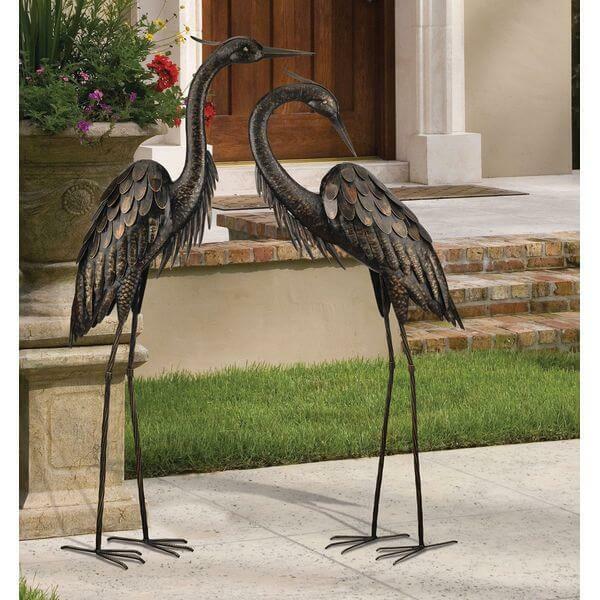 Two slender, tall herons will add detail to your lawn with the Regal Art and Gift Standing Heron Bronze Garden Statue. These statues stand on their own but come with a six-inch ground stake for stability. The large metal birds have been given a bronze finish. 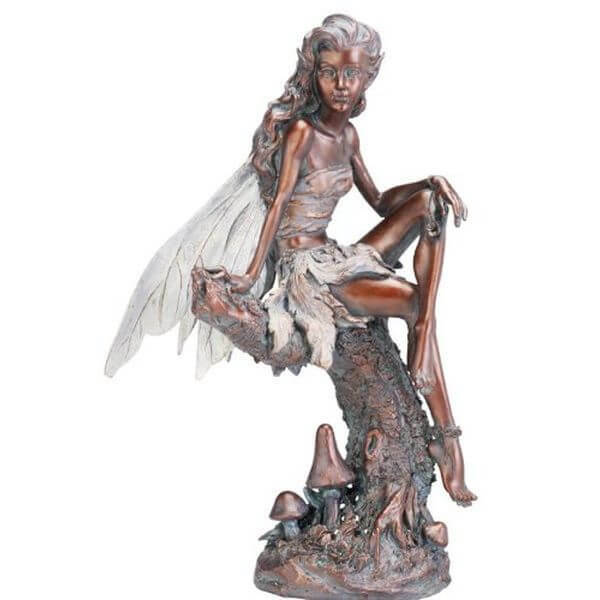 The Napco Sitting Fairy Garden Statue shows a fairy sitting at rest overlooking any ledge you place her on. It is made out of durable, long-lasting resin that has been given a bronze-like finish. This statue measures 24 inches in height and is highly detailed. 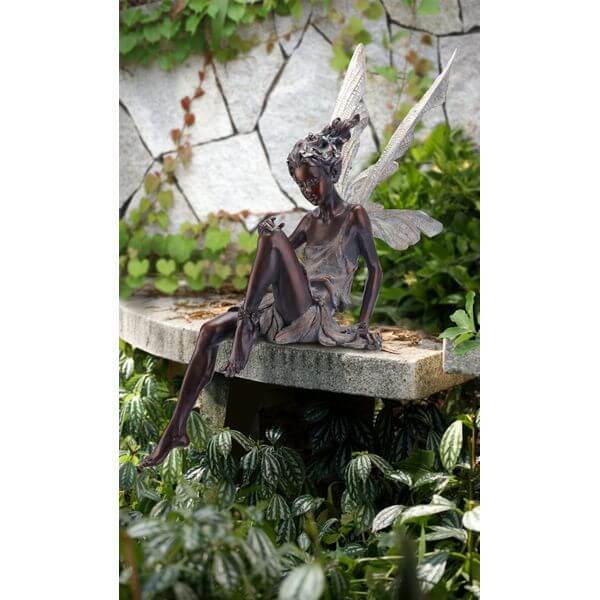 Add a touch of fantasy to your garden with the Napco Bronze Fairy Figure Garden Statue. This statue features the image of a fairy sitting atop a tree stump surrounded by mushrooms. It has been crafted out of long-lasting, resilient resin and given a bronze-look finish. 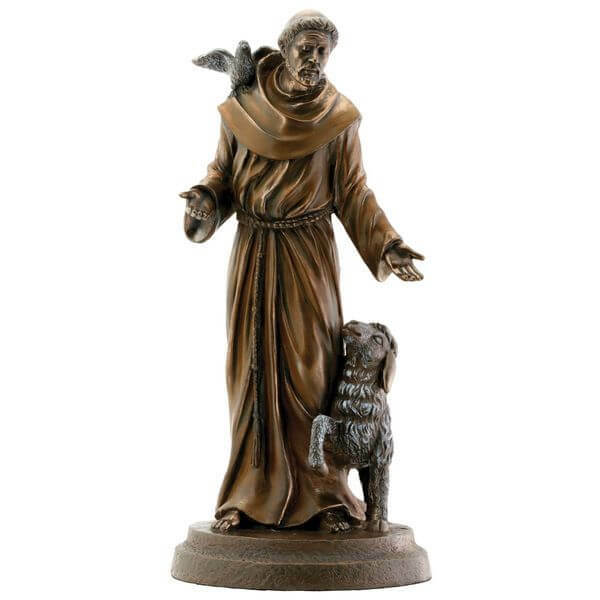 The Saint Francis Bronze Garden Statue depicts the image of Saint Francis with a bird upon his shoulder and a lamb at his side. He stands upon a small pedestal. This statue is made out of high quality resin that is built to last and has been given a bronze finish.